We use only the best quality materials according to your budget & the life expectancy you anticipate from your roof. 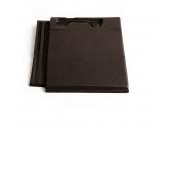 Through our extensive experience & knowledge of these materials we can advise you accordingly. Here you will find information about high quality Natural Slates, classical Clay Tiles, tough and attractive Man-made Fibre Cement Slates, Concrete Tiles and Ridges to finish your roof. 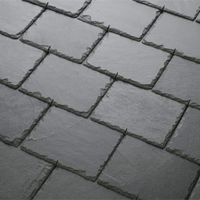 Natural slates have the longest lifespan and can last up to 100 years or more if slates are laid correctly. 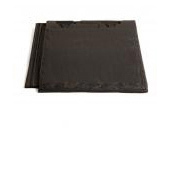 Our slates are graded according to size and thickness as no two slates are the same. The thickest slates are laid first at the eave of the roof, medium slates in the middle graduating to the thinnest at the ridge. This ensures a perfect finish & uniformity. Poorly graded slates result in water ingress, "roof chatter" and broken or dislodged slates due to wind penetration. Man made fibre cement products are manufactured using the latest coating technologies. 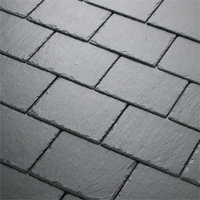 These slates are an affordable alternative to natural slate with some having distinctive profiling to replicate the look & colour of natural slates. The lifespan can vary depending on quality and supplier and can range from 10 to 60 years. 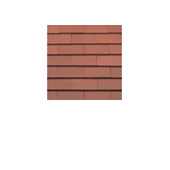 Clay tiles offer a natural alternative to a slate roof, and enhance the look of the property. These are much smaller in size than a natural slate or fibre cement roof. Clay Tiles are aesthetically pleasing due to the smaller nature of the tile giving a more enhanced definition to your roof. The smaller tiles can be incorporated to create spired roofs, eyebrow roofs over windows and also used in conjunction with bonneted hips & valley tiles. Clay Tiles have a lifespan of approximately 50 to 60 years. Concrete tiles come in a range of colours and different quality finishes and provide an economic alternative to natural materials. Examples of types or tiles are shown below. Concrete tiles are an alternative roof covering which are more suitable to new builds & re-roofing & are another affordable alternative to either natural or man made slate. They are heavier than slate & the roof requires re-inforcement for the additional weight. Concrete tiles come in a wide range of colours & profiles & the lifespan guarantees 25 to 30 years depending on manufacturer, colour throughness, and other variants. Ridges are used for the hips and the main ridge of the roof to seal all apexes. 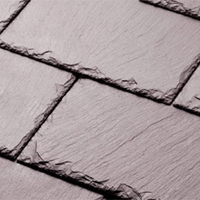 Depending on the roofing material used the ridge can be used to enhance the finished roof by complimenting clay ridges of an alternate colour, bonneted ridges, round or concrete ridges, etc. These finishes are dependent on preference and cost. Visit the Gallery to see lots of examples.